So, this is just a fun quickie post. I'm working on a longer one for later...but I was laughing about this on my run tonight, so I thought I would share. 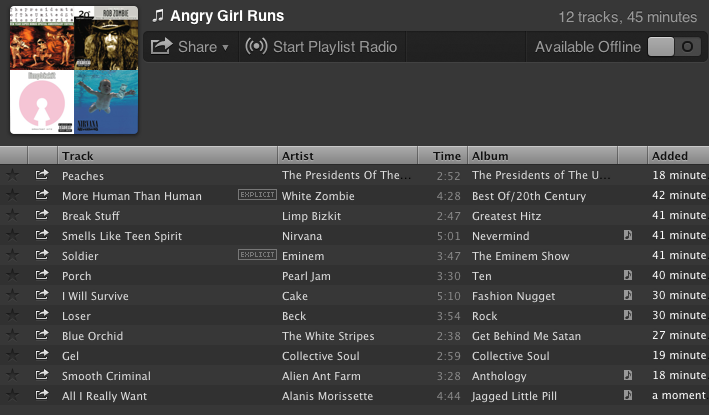 Since I wrote the "I Got Beat by a Girl" post, people have been asking, "So what's on your 'Angry Girl Playlist'...?". There seems to be a misconception that I'm listening to angry girl singers. And, while I love me a little Ani Difranco (that's Mr. Ani Difranco to you) she's not on my running mix (although, Alanis makes the cut because she's A.N.G.R.Y.). 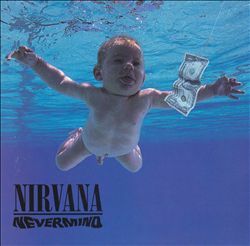 Nope, as a child of the '80's and '90's, I like me a good bit of metal and grunge while I'm pounding the pavement. Here's one of my favs. Older PostHoliday Weight Gain...Look Out!